I've been really liking CZ 452 line for a long, long time. These rifles were known as "Czech Anschutz" for their legendary accuracy. At the same time, they were quite inexpensive with a typical street price below $400. I've carried the 452 line for years, and always tried to maintain them in stock. Recently, as the model was wound down by CZ, and the interest in it grew, it had become quite hard, but I still managed to do it. 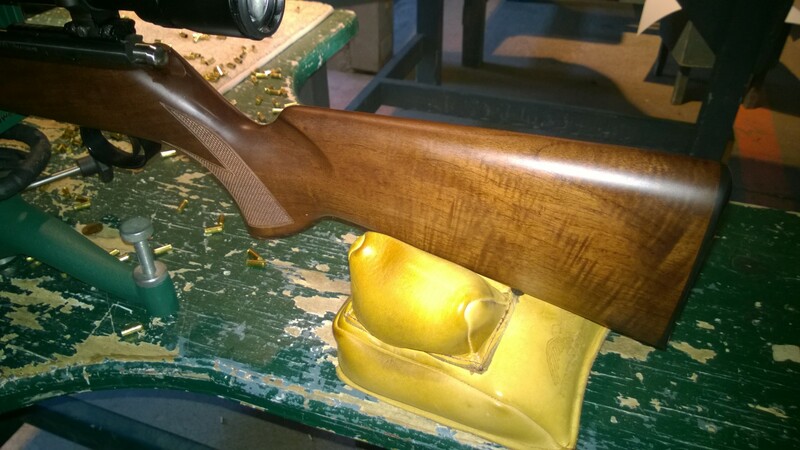 I also did an extensive testing of the two most popular models - CZ 452 Military Trainer and CZ 452 UltraLux. 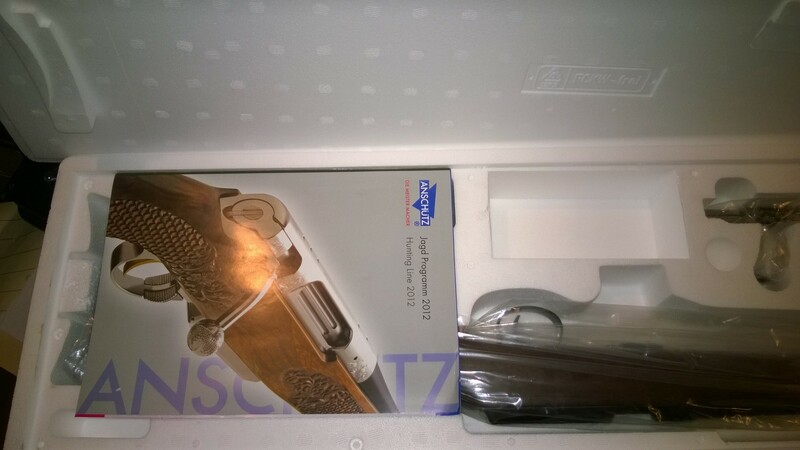 Unfortunately, CZ has been promising to discontinue the 452 line for a long, long time, and have gradualy taken the various models from these lines down, so I have been looking for a replacement. In particular, I thought that perhaps a lower-end Anschutz rifles might present a reasonable alternative. So I went ahead and bought a 1416HB to test it out. 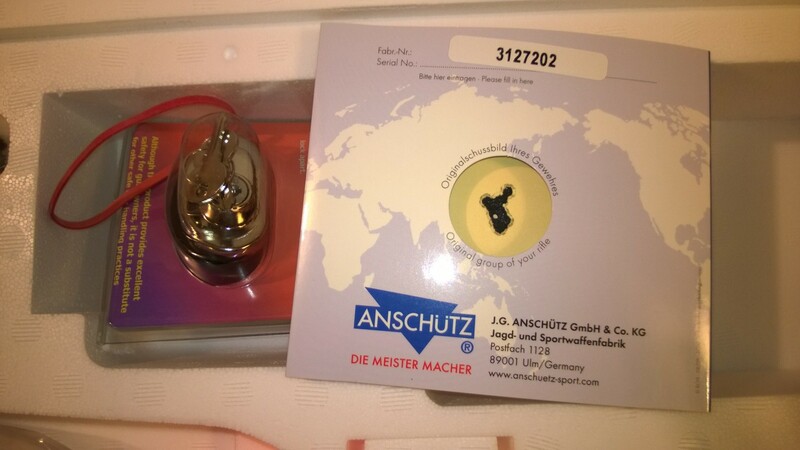 The street price for Anschutz 1416HB is right around $850, but I paid a little less as a dealer. 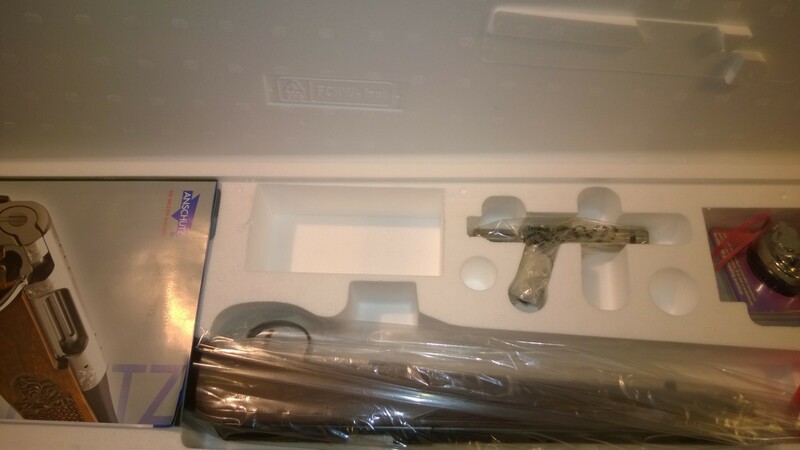 The rifle showed up well presented - exquisite packaging, beautiful stock. The action was very smooth. The blueing deep, even, and without a defect. 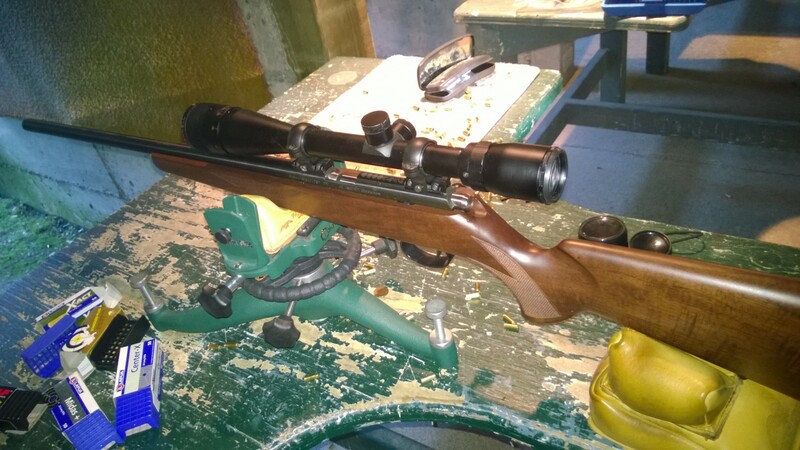 Like CZ 452, the rifle was accompanied by a factory target. 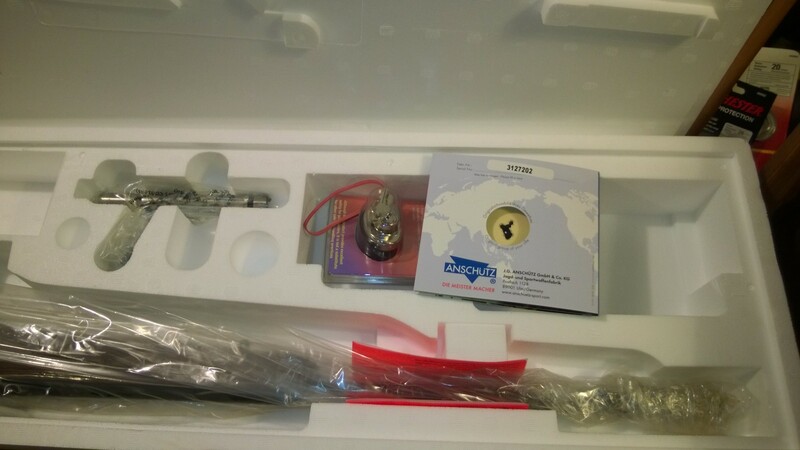 Here are a few pictures of the box snapped on opening. The ultimate test of a firearm is at the range, however, so I assembled a bunch of boxes of high quality 22lr ammunition, and off we went. 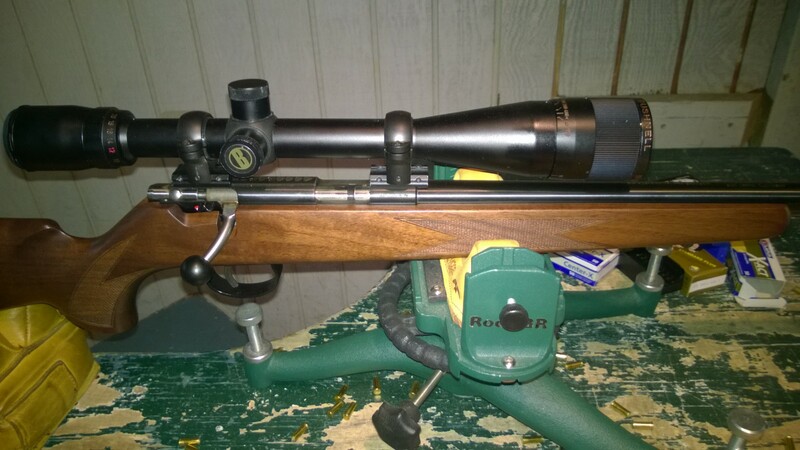 The first day has proven inconclusive - the 100 yard range was windy, so I took the rifle to a 50yd range the next day. 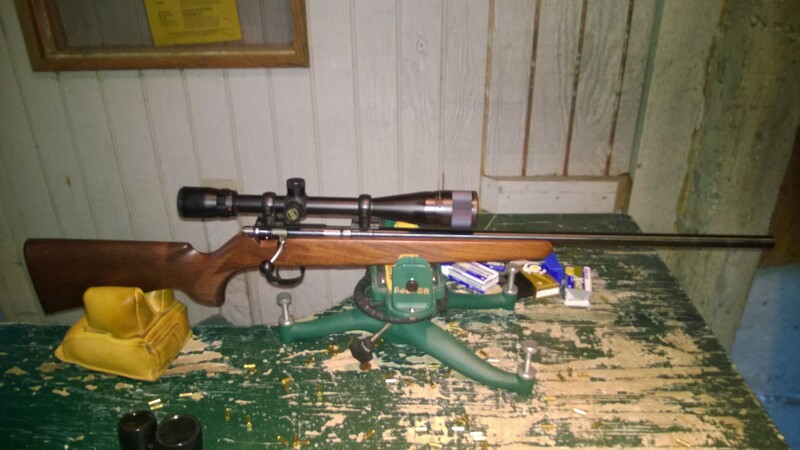 I have also took along a well known 452 Military Trainer that I have owned for over 5 years - this was my first CZ rifle, and the accuracy of which was well understood. 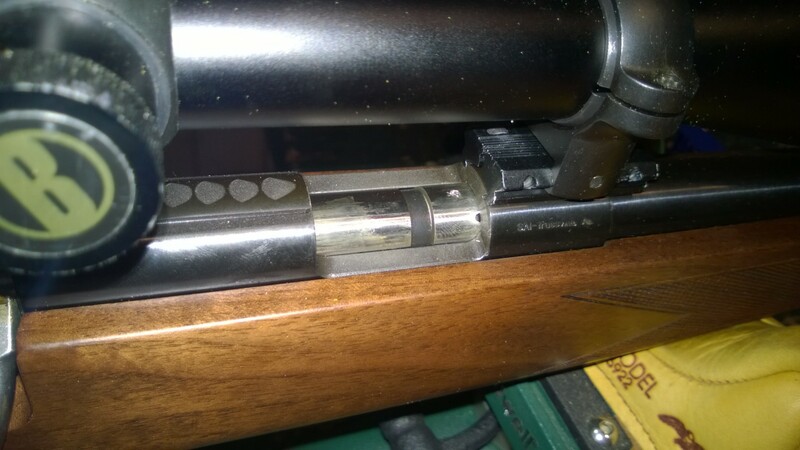 ...and then switched to Anschutz and a wide ariety of match ammunition. The results were surprising. Anschutz performed very consistently across a wide variety of match ammunition. 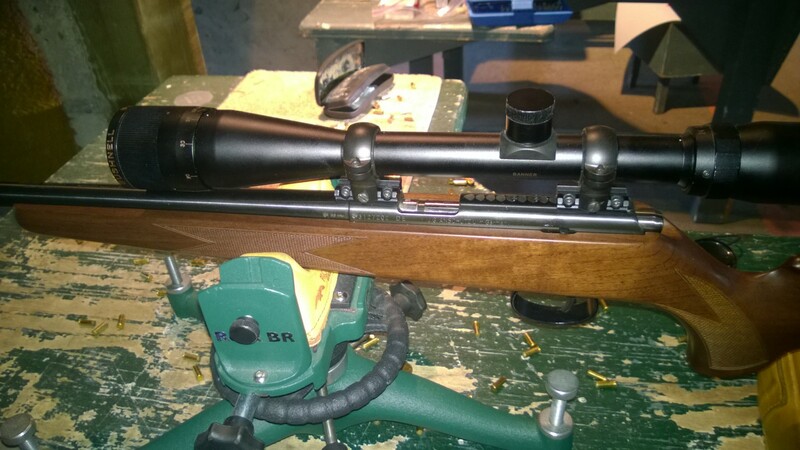 It did not like SK Standard+, but it did almost exactly the same with RWS and a few Lapua brands. Its favorite was Midas+, same as CZ 452. 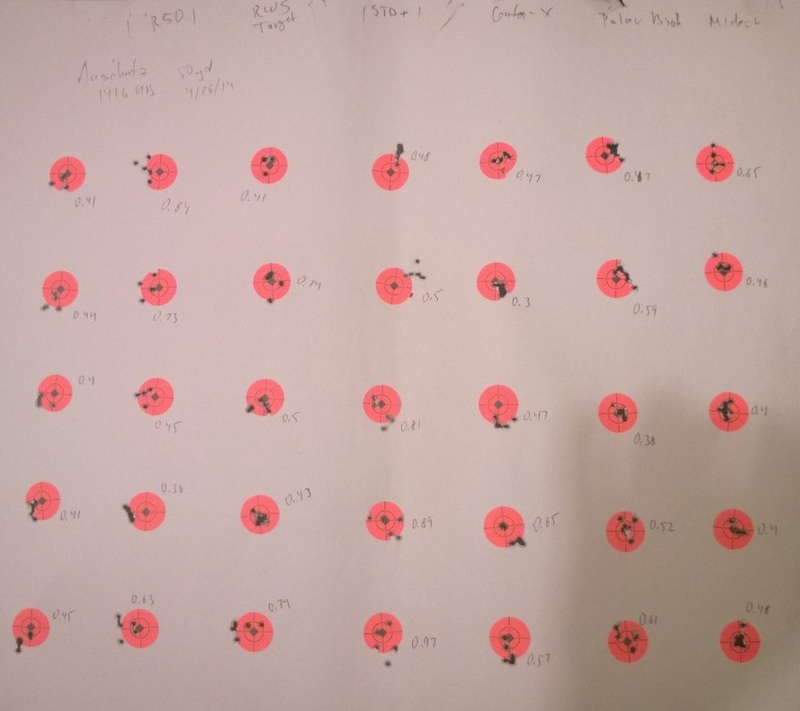 But here's the rub - shooting Lapua Midas+, CZ 452 did consistently better than 1416HB, beating it by 0.1". 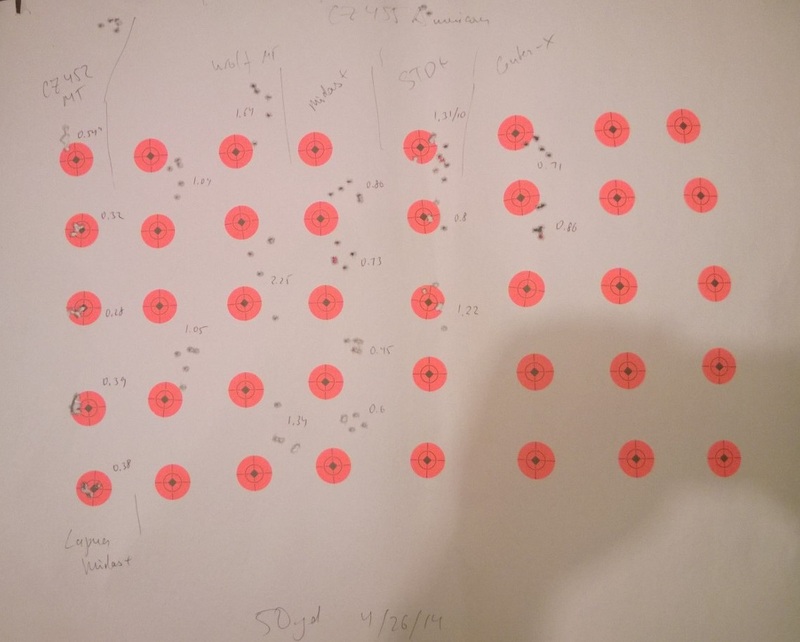 While technically the results are not statistically significantly different, I have a gut feel that if I were to shoot a couple of boxes per rifle, they would have been. But even so, lack in statistically significant difference in accuracy between a $400 rifle and a $850 rifle is telling. 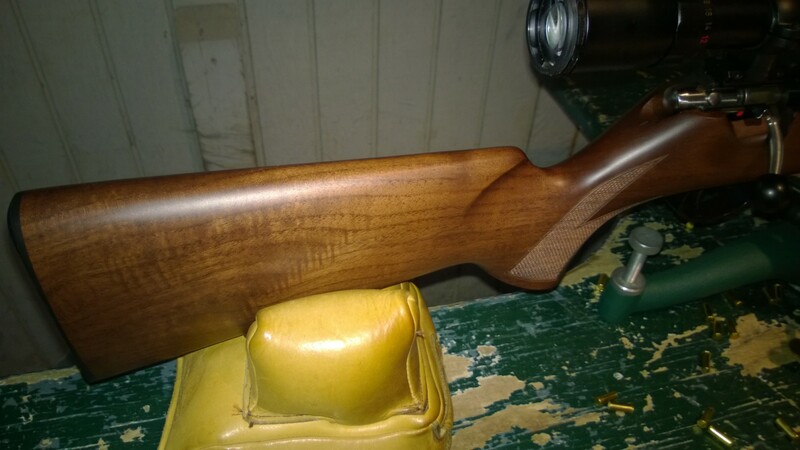 So as a replacement for CZ 452 in midgrade rimfire range Anschutz 1416HB will work. It is more expensive, but is also really well made and has a better factory trigger (my Military Trainer has a Yodave trigger upgrade). I will carry it in my store.